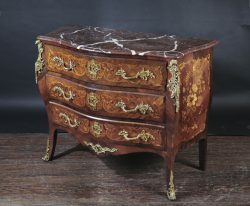 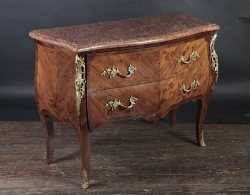 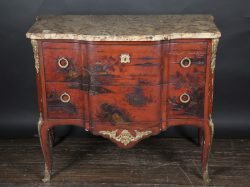 French 19th century Louis XV marquetry 2 drawer commode with contoured marble top and bronze mounts. 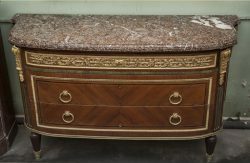 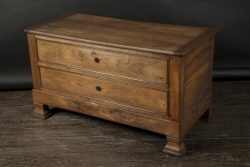 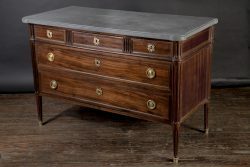 French 19th century Louis XVI mahogany five drawer chest with a grey marble top and bronze d'ore escutchins and pulls. 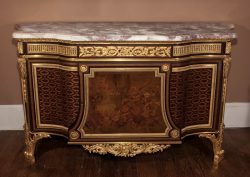 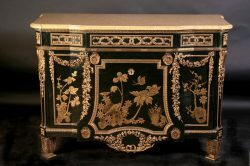 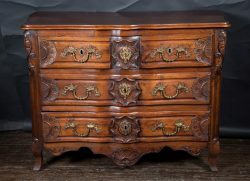 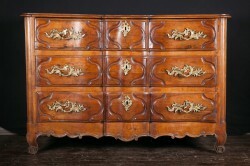 French 19th century Louis XV three drawer marquetry commode with contoured marble top and bronze mounts.